Based out of Thunder Bay’s airport, KBM’s Flight Operations is comprised of a fleet of six dedicated fixed-wing survey aircraft. We hold a Transport Canada Commercial Operators Certificate licensed for Aerial Work as well as Air Taxi Operations. We maintain our fleet in-house, which allows for full maintenance control and ensuring all aircraft are maintained to the best possible standards. This control ensures rapid response and the ability to dedicate resources in response to changing operations. 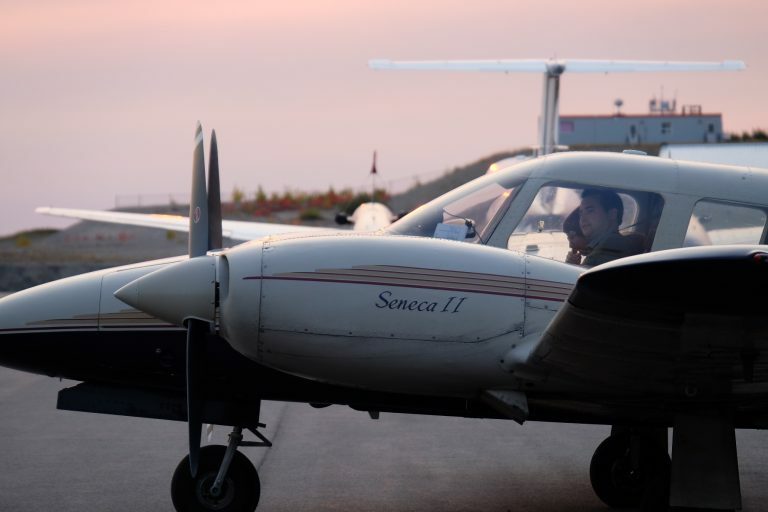 KBM’s flight crews are highly trained and experienced in specialty flight operations across Canada including remote access, low level survey, float plane operations, and high-density airspace operations. All survey aircraft have been chosen specifically for aerial photography and modified accordingly. KBM’s survey aircraft offer a stable, efficient, and reliable platform for aerial photo capture. Experienced crews have a very thorough understanding of photogrammetry and the importance of ensuring that the data is collected according to prescribed flight parameters. Safety is culture at KBM and is engrained in all aspects of our Aerial Operations, from training, to maintenance, to equipment selection. KBM’s dedication to safe operations is reflected as we celebrate 12 years since inception of the air program with zero recordable accidents or incidents. Our 7,500 sq ft hangar is used to stage operations planning, custom configure survey aircraft, maintain our fleet, and train our staff. KBM holds a Transport Canada Approved Maintenance Organization (AMO) licence. We maintain our own fleet, which allows for full control and ensures all aircraft are maintained to the best possible standards. In-house maintenance ensures rapid response and dedicated resources in the event of unplanned maintenance or repairs. KBM’s maintenance staff understand there can be no compromise from either a safety or an operational perspective. Our dedicated flight operations group is responsible for getting our people and our equipment on site, on task, on time and on budget. Our custom aircraft support a wide range of demanding applications. Our pilots are qualified, highly skilled and equipped to deal with challenging terrain and environments. KBM Resources Group’s Flight Training Unit aims to prepare students to exceed Transport Canada standards and give them additional insight to help them start working in the industry. Training around Thunder Bay gives students the opportunity to develop skills relating to operating around busy control zones, as well as the surrounding uncontrolled areas of Northwestern Ontario. KBM offers great assets to any aspiring pilot, as well as experienced pilots who are looking to acquire new skills and ratings. KBM has one Cessna 172M available for limited flight training opportunities. We will therefore be reviewing training requests on a case by case basis. Please contact FTU@kbm.ca for further inquiry. KBM Resources Groups is a Transport Canada approved Aircraft Maintenance Organization. We specialize in piston aircraft maintenance.